away January 22, 2019 at Pickett Care & Rehab. Baptist Church and taught school in Davidson Co., TN for many years. Riser; twin sons, Danny and Donnie Tompkins; one brother, Marvin Riley. wife Sue of Muncie, IN. home in the Parker Community. Johnson, and sister, Dorothy Copeland. Burial was held at Etter Cemetery. Rev. 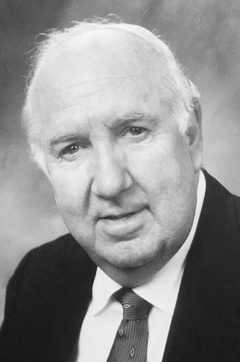 Charles E. Gibbs, Jr.
spent nearly 60 years in the Ministry, primarily as a pastor. his first church, Collinsville Baptist Church of Collinsville, Alabama. Church of Byrdstown in February of 2002. 526-6111 You may share your thoughts and memories at hhh.funerals.com. aunt, Paul and Elizabeth Chilton. Tim Richardson, Cameron Fish and Jimmy Fish. Wisner Hill. Mrs. Durham was a caregiver. Ricky Hill and Derwin Hill; special brother-in-law, Steve Kelly. sisters, other family and friends. Funeral Homes were in charge of arrangements. 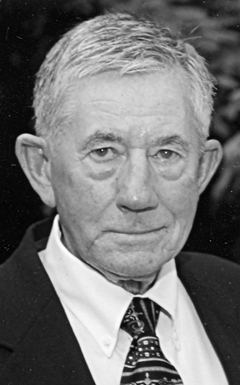 Joan (Poynter) Pritchard and lived most of his life in Pickett County. uncles, other family members and friends. Thursday, November 29, 2018 at Cookeville Regional Medical Center. and Brandon Kendrick Flowers; great-grandson, Easton Scott Henry. Also survived by a host of special friends and loved ones. Funeral Homes of Jamestown were in charge of services. Nov. 20, 2018 from the St. Thomas Midtown in Nashville. matter the situation. He enjoyed football and Kentucky basketball. Chiropractic, where he loved his job and the people he treated. Phiefer and husband Ed, Florida; father, Gary Abston, Albany, KY.
factory worker and health care provider. Ruby Rector and Jocelyn McRatic, other family members and friends. Aubrey and Hubert Kay Vincent. Funeral services were held Sunday, November 18, 2018 at 2:00 p.m.
followed in the Story Cemetery. Carter Martin, Gary Garrett, Shelby Guffey and Steve Garrett. Story Cemetery Fund and can be left at Brown Funeral Chapel. on Wednesday, November 14, 2018 at his home. Bowden and husband Chad; Sue Davis and husband Scott. grandparents – James and Ora Cooper, Joe B. and Martha Ellen Ferrell. left at Jennings Funeral Homes. Overton Co. Health and Rehab. step grandchildren, step great grandchildren. Parsons; and son, David Parsons. Swamp Community Church in Monroe. Bro. Alex Jackson officiated. Hall Funeral Home was in charge of the arrangements. Memorial Hospital in Muncie Friday, Nov. 2, 2018.
with burial following at Beech Grove Cemetery in Muncie. Parson Mortuary in Muncie, Indiana in charge of services. Albany, KY and was a homemaker. Earl, Carey and Dale Mercer. Funeral services were held Tuesday, October 30, 2018 at 2:00 p.m.
and burial in the Reedertown Cemetery. Reagan, Daniel Lowhorn, Bo Sherrill and Brandon Stewart. October 31st, 2018 at the Aperion Care Center in Cairo, IL. passed away peacefully on October 3, 2018.
remembered by all who knew her. Garrett, Velma Watts and Della Lee; daughter-in-law, Linda Masiongale. Cookeville Highway (Rt. 111) in Livingston. family, gardening, music, politics, and reading. Kenneth, Dennis, and Gary, and her sister, June. and Ron Price, nieces, nephews, and grandchildren. be with the Lord October 15th, 2018 at her home, surrounded by family. Cora was born to Arlis Sid Taylor Sr. and Vibrilla Taylor on Jan. Morning Star Church in Kokomo. grandkids. She will be missed by her friends and family. and Jaycie Fae LeAnne Conwell; and several nieces and nephews. "Bee" Reeder, Arlis Sid Taylor Jr., and Mary Margie "Midge" Reynolds. and graduated Pickett County High School in 2002.
aunts, uncles, cousins, other family members and friends. Perkins and Billy Joe Abbott. Funeral services were held Saturday, October 20, 2018 at 10:00 a.m.
Davis officiating. Burial was in Edgefield Cemetery. Slaven, Travis Ventress, Lonnie Moon and Jody Moon. of Cumberland Co. in Crossville. Center in Byrdstown and Clarkrange Drug Center, Clarkrange. 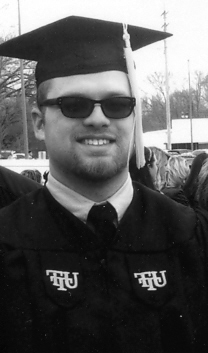 Mr.
graduated from TTU with a B.S. degree in Animal Science in June 1977.
by his mother, Peggy Hall; grandparents, E.A. and Nora Pierce Garrett. Byrdstown; two sisters, Tammie Thomas and husband Bill, Gallatin, TN. Gibson and Roger King. Special care provided by Brown Funeral Chapel. Online condolences can be made at www.brownfuneralchapel.com. Byrdstown, passed Thursday, Oct. 11, 2018 at Pickett Co. Care and Rehab. Housing Inspectional Services with the City of Dayton, OH. husband, James Walter Baker and sister, Margret Eleane Wantz. Brown Funeral Chapel with Bro. Rick Cross officiating. care is being provided by Brown Funeral Chapel. Huddleston, and daughter-in-law, Jennifer Huddleston. Ruby; Jim Huddleston; sister, Teresa Storie and Harold Terry Clark. Joey Huddleston, Matt and Tiff Storie. Jennings Funeral Home was in charge of the services. Alfred White, and brother, Don White. in Gainesboro, and was a housewife and mother. Pappas, brother, James Gutbrod, and sister, Harriett Harbage. Funeral services were held Saturday, October 6, 2018 at 10:00 a.m.
other family members and friends. in memory of Jimmy Ray Sells can be made to Operation Song. born on March 22, 1940 to Louise McKinley in Pickett County. until retirement and then she moved to Muncie. Alzheimers and never forgot her family. two uncles, Chester and Floyd Harmon. p.m. at the Williams Chapel Cemetery. Tuesday, Sept. 18, 2018 at his residence. nieces, nephews, other family members and friends. as pallbearers were family and friends. Kathryn was their dad's favorite because she reminded him of his mother. gardened and farmed. She was a member of the Eastern Star. Mindy Green and daughter Rayelee, Jedidiah Jones and daughter Lola. also aunt to several nieces and nephews she loved very much. with Parkinsons and dementia the last several years. Cemetery in Moodyville with Bro. Rick Cross officiating. She is preceded in death by her parents, son and grandson. Crockett. Services provided by Brown Funeral Chapel Byrdstown. also had horses and won trophies in equine shows. Keisling; friends in Thomaston, Conn. area and her loving cat, Callie. Church of Plymouth, Memorial Garden, 10 Park St., Plymouth, CT 06782.
farmer, mail carrier, and a garment factory employee. Williams; brother-in-law Junior West; and grandson Michael Paul Smith. officiating and burial was in the Pritchard Cemetery. Lewallen, Ryan Edward Lewallen, and Donald Griffith (Bud) Smith. Methodist Church members, and neighbors. employee and was of the Christian faith. Hancock and Bonnie (Ray) Brown. and Linda Key. Special care provided by Brown Funeral Chapel. officiating with burial in the Amonett Cemetery. Huddleston, Caleb Young and Joseph Warden. Special care is being provided by Brown Funeral Chapel of Byrdstown. away Thursday, May, 10, 2018 at his residence. Electronic Plus and an Army Veteran. nieces, nephews, other family members, and friends. 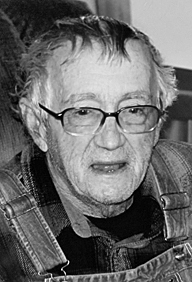 honorary pallbearer was Ron Erin. 5, 2018, at Pickett Care and Rehab. member of the Eastern Star. Louise is survived by two step daughters, Ann Frederick of Mt. Zachary; three brothers: Austin, Odis and Wilbur Zachary. officiating and burial in the Mullins Cemetery. Special care was provided by the Brown Funeral Chapel in Byrdstown. and Mary Lucy Hicks Savage. 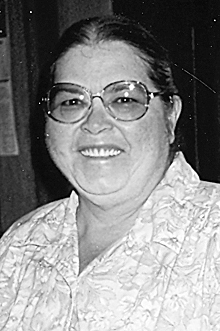 She was the wife of the late Jasper E.
Education. She was of the Christian faith. White House, TN; Jane Winningham and husband Darryl of Byrdstown; Dr.
KY as well as one great-grandson: Jasper Donaldson, Tompkinsville. brother, James W. Savage and sister, Ruby Butler. Home. Jason Page officiated. Interment followed in Oak Hill Cemetery. 2018 at Livingston Regional Hospital. Crockett and Juanita Flowers Stewart. survived by his beloved dog Sassy. 2018 at Pickett Care and Rehab. started their own publishing company, Begley Dow Publishing Company. servant of the Lord, good family man and parent. Begley Dow; sisters and brothers-in-law, Beulah Nash, Irene and J.D. Bradley and Dorothy Dow, Stanley and Yvonne Dow. by a host of nieces, nephews, other family members and friends. a.m. in the Welch Memorial Cemetery with Rev. Larry Spears officiating. condolences may be made at www.brownfuneralchapel.com. from Russell Stover Candy Factory. in the Mt. Era Cemetery. 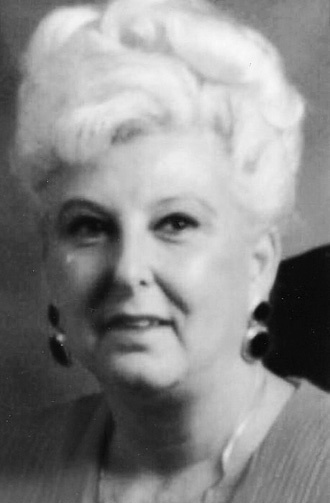 passed away April 25, 2018.
and Nora Storie Upchurch. Mrs. Pickard was a bookkeeper. Thomas H. Pickard; a sister and five brothers. host of nieces, nephews, other family members and friends also survive. Funeral Homes Chapel with Rev. John Dietz officiating. Evans. Mrs. Nicholas was a factory garment worker. Nicholas and son, Cecil Ray Nicholas. never thought as them as her daughters-in-law but only as daughters). lived. She was a wonderful homemaker and cook. her bucket list was going to Wyoming to see the Grand Tetons. by 10 grandchildren and 19 great grandchildren. Evangelist Bro. Marlon Winningham and Bro. Ronnie Cobb officiating. Burial was in the Wirmingham Cemetery. Mike Moorman, Brian McMeeking, and Dustin Parks. may be made at www.brownfuneralchapel.com. the chapel of Speck Funeral Home. Bro. Randy Tompkins officiated. Nashwauk, MN. Roy had 10 siblings, all of whom preceded him in death. surprise attacks by the USSR. Hazelhurst, GA; Lebanon-Springfield, KY; Metter, GA; and Livingston. 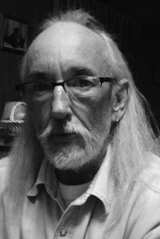 ALBANY, KY--Norman Dwight Albertson, 72 passed away February 13, 2018. He was born June 7, 1945 to the late Delmer and Eula Wright Albertson. Albertson; six grandchildren, 11 great-grandchildren. Reed, Edvin, Dee, Carl and Kendrick. Cemetery. Arrangements by Talbott Funeral Home. February 10, 2018 at his residence. operator and loved to fish. He was preceded in death by his parents, Samuel and Ada Brannum. Liberty General Baptist Church and a homemaker. two sisters, Stella Stokes and Eldean Ford. brothers, Randall and Roger Masiongale of Pall Mall. Chapel. Online condolences may be made at www.brownfuneralchapel.com. Williams in Pall Mall. Mrs. Coe lived most of her life in Pickett Co.
Koger; one infant sister; and brother, Glen Williams. Eddie Coe, Ian Gilliam, Logan South, Christopher Asberry and Ray Coe. February 2, 2018 at his home. Arminda Louvina Smith Allred; 10 older brothers and sisters. Funeral Home were in charge of the arrangements. Nicholas. Ms. Nicholas was a homemaker. nieces, nephews, great-nieces and great-nephews. Online condolences may be made at wwww.highfuneralhome.com. February 2, 2018 at Cookeville Regional Medical Center. grandchildren. 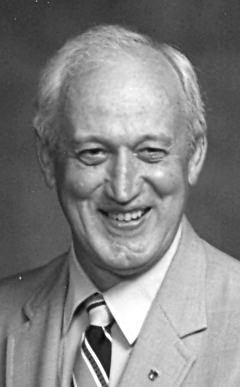 Mr. Barber was a member of Bloomington Christian Church. Lester, Earl, Freelan and Dannie Barber. Barber, Larry Craig, Steve Moody, Joey Huddleston and Tim Huddleston. away Monday, Jan. 29, 2018 at her son's home in Byrdstown. sister, Anna Marie Storie; and brother, Orvile Storie. Fork. Online condolences may be made at wwww.highfuneralhome.com. Feb. 2, 2018 at IU Health Ball Memorial Hospital. She was born on Nov. 4, 1945 in Byrdstown, the daughter of Edward A.
and Delia M. (Moles) Perdue and graduated from Parker Community Schools. spending time with her family and grandchildren. will follow in Gardens of Memory Cemetery, north of Muncie. 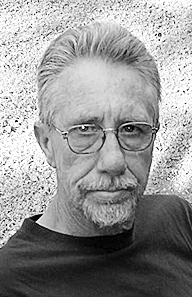 He was born Dec. 21, 1960 to Carlos Eugene and Shirley Bilbrey Neal. He is preceded death by his mother; sister, Anna and brother, Barry. Graveside services were held January 23, 2018 at Mullins Cemetery. Hall Funeral Hone was in charge of arrangements. all her life in Pickett Co.
Masiongale; one son, Christopher Masiongale; brother, Wendell Logan. January 8, 2018 at Tennova Healthcare of Jamestown. Relief and enjoyed all sporting events, especially the Tennessee Vols. provided by Mundy Funeral Home. than his parents he is preceded in death by his aunt, Maxine Miller. Thursday, January 18, 2018 at the Livingston Regional Hospital. Brentwood, TN 37024. Special care provided by Brown Funeral Chapel. Online condolences may be made at www.brownfuneralchapel.com. away Friday, January 12, 2018 at her residence. business, was a cook and a member of the Shepherd's Church. survived by nieces, nephews, other family members and friends. away Tuesday, January 9, 2018 at Pickett Care and Rehab. Miller, Ruby Smith, Veachel Baumgardner and Willa Flo Conger. Wed., Jan. 3, 2018 at his residence. member of Smyrna Church. He lived all of his life in Pickett County. with Bro. Randy Tompkins officiating and burial in Tompkins Cemetery. Smyrna Church. 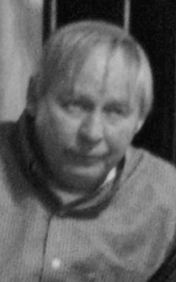 He is preceded in death by his father, Robert "Bobby"
survived by other family members and a host of friends. Sunday, Dec. 31, 2017 at Pickett Care and Rehab. Church, member of York Chapel Church, charter member of Pickett Co.
employee at Winningham Apparel and Class of 1972 graduate. cousins, other family members and friends. Merle Reagon, Carl Huddleston, Herbie Groce, Kenny Anderson, Jr.
Saturday, Dec. 30, 2017 at his residence. Jacob Cummings and Leigh Koger. Kord Blackmon, Caleb Williams, Sam Cummings and Robert Stephens. December 17, 2017 in the comfort of his home. 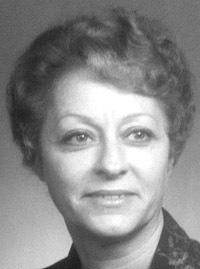 law, Marcia Geesling Cope; sister, Gladys Cope. Special care provided by Livingston Funeral Home. away Tuesday, Dec. 19, 2017 at Celina Health and Rehab. lived all his life in Pickett Co.
Caudle, David Hunter, Randy Buck, Jeff Walker and Ray Jordan. Byrdstown passed away Monday, Dec. 18, 2017 at her residence. 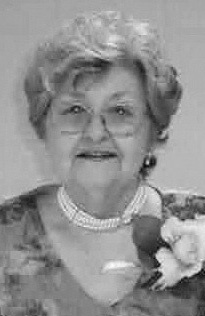 Odetta Adkins Winningham and lived all her life in Pickett Co. Mrs.
Jones was a garment factory worker and a homemaker. Byrdstown. 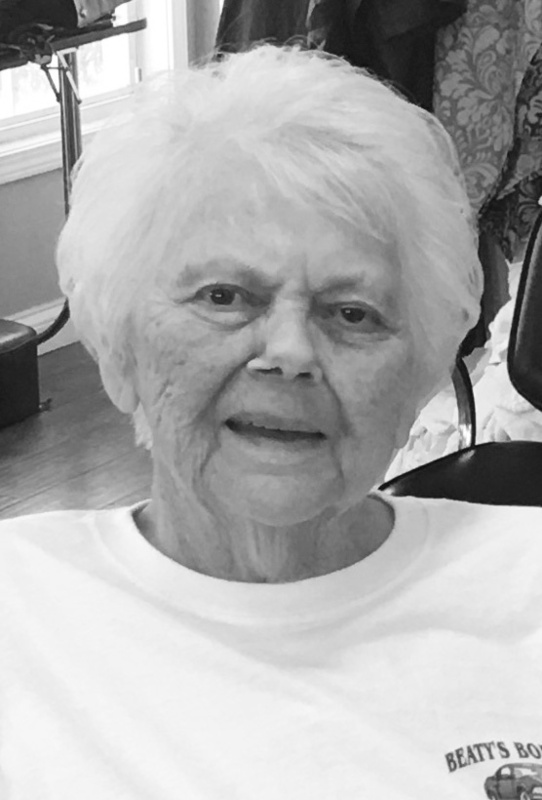 Ms. Cross passed away Dec. 2, 2017 in Cookeville. and together built a legacy that will live on for many, many years. all her family, every year, and never forgot. Professional services provided by Presley Funeral Home (931)528-1044. Eagles Lodge #231, U.A.W. Local #371, V.F.W. and the American Legion. He also enjoyed golfing, bowling and working. away Saturday, Oct. 28, 2017 at her residence. Cleta Mae Sells and Katie Jean Edwards; brother, Jimmy Clayton Sells. Wright, Jason Sells, Steve Sells, Ryan Corner and Robert Mitchell. member of The Shepherd's Chapel of Gravette, AR. Chatie Masters of Muncie, IN; one son, Paul Perdue of Pall Mall. Rick, Mike, James and Edward all of Pickett Co; a bunch of grandkids. Bro. Tompkins will be officiating. Rehab passed away Tuesday, Oct. 24, 2017. Dept. and a member of the Byrdstown First Christian Church. Parris. Online condolences may be made at www.brownfuneralchapel.com. loving family as he met his Lord and Savior Jesus Christ. grandparents Maxie Garrett, Miles and Dorothy Suiter. survived by other cousins, great uncles and aunts. to the Sarah Cannon Cancer Fund or to Bloomington Christian Church. away Saturday, November 11, 2017 at the Livingston Regional Hospital. She was born March 26, 1960 in Nashville, IN. and was an engineer. Sawyer, both of Calhoun Falls, SC. 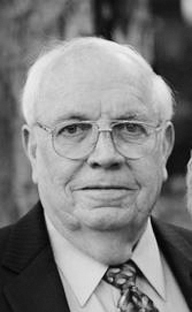 NASHVILLE--Carlos Earl Coe, 82, passed away Nov. 11, 2017. Westwood Baptist Church. He was a 39 year employee of the V.A. Hospital in Nashville, and a U.S. Army veteran. parents; Carlos and Mary Coe, and brothers Ray and Tom Coe. A celebration of Carlos’s life will be conducted by Dr. Robert E.
nearly 62 years of marriage before his death in January, 2004.
in her garden that fed her extended family, friends and neighbors. whether in her home life, work as a beautician, or her appearance. mother’s teachings that one should “Do as well as they looked”. her Tennessee home and family was in May 2017.
them know how great that love was. Chipley, Florida in charge of arrangements. 1992 and he was a maintenance worker in heating, cooling and electric. 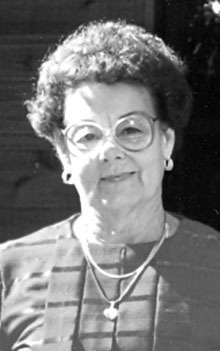 Breeding and Donna Bartylak; two brothers and nine sisters. Monday, October 16, 2017 at his residence. nephews, cousins, other family members and friends. away Monday, October 9, 2017 at Cookeville Regional Medical Center. nephews, other family members and friends. his five children, grandchildren and great grandchild. Colorado until relocating to Virginia to be closer to family. Kendrick, Scott Godino, Sid Smith, Nolan Hughes and Erin Parris. 11 grandchildren and three great grandchildren. Full military honors will be held at Arlington National Cemetery Nov.
made to the National Parkinson Foundation, Parkinson.org. Hollow Lake with his wife Doris, and a WWII veteran. Austin Neal Almeling of Troy, MO, and several nieces and nephews. who knew him and dearly loved by his family who will miss him. Funeral services were held Friday, October 13, 2017 at 10:00 a.m.
Neal Almeling, Kelly Amonette, Jerry Copeland, and Larry Storie. Byrdstown passed away Saturday, Oct. 7, 2017 at her residence. worker and was of the Baptist faith. Emogene Ford; son-in-law, Jim Beaty. nieces, nephews, other family members and a host of friends. passed away Friday, Oct. 6, 2017 at the Livingston Regional Hospital. A memorial service is set for Thursday, Oct. 12, 2017 at 11:00 a.m.
from Brown Funeral Chapel with Bro. Howard Scroggins officiating. afternoon at St. Thomas DeKalb Hospital. 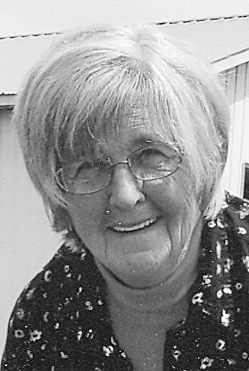 She leaves to cherish her memories, her husband of 33 years, James W.
Cowan, IN; and half-brother, Larry Matheny of Muncie, IN. depression years. Loxie was a free spirit who always wore angel pins. She will be remembered for smile, hugs, and kisses. 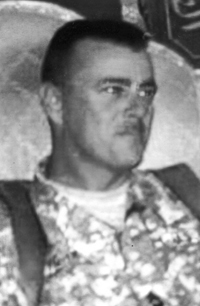 Senior NCO Academy at Gunter Air Force Base, Alabama in July 1973. 1986 for ten years and finally to Ft. Collins, Colorado. USA. Loxie also attended the Foothills Unitarian Church in Ft. Collins. Knightstown, Indiana; and Phyllis Whitt (Don) of Byrdstown. and two sisters, Cordy Rose “Kay” Leslie and Clara Bell Boyer. Ft. Logan National Cemetery in Denver, Colorado at a later date. Funeral Chapel, 121 W. Olive, Ft. Collins, CO 80524.
away Sunday, Sept. 3, 2017 at The Medical Center of Albany. past four years in Pickett County. away Friday, Sept. 8, 2017 at her residence. 26 years in Pickett Co.
William Swift and Daniel Latham. Sunday, Sept. 3, 2017 at her residence. 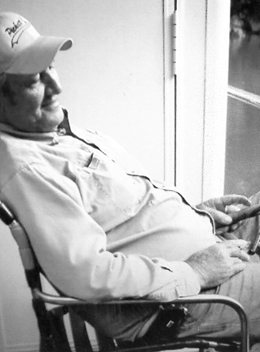 her life in Pickett Co.
"Bill" Cope and Curtis Cope. Regional Hospital. 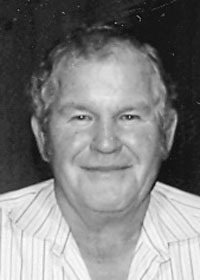 He was a dock manager and a Veteran of the U.S.
Mr. Porter was born Jan. 5, 1934 in Cincinnati, OH to the late Guy M.
and Mary Louise Hummell Porter. Hospital with family there with him. 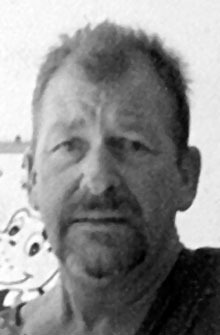 Gunter Jones. His mother held a special place in his heart. United States Army, a brick mason, carpenter and truck driver. and grandson and nephew, Jeffrey McCane. birth, daughter Melinee Green and husband Dana, and son Barry Jones. 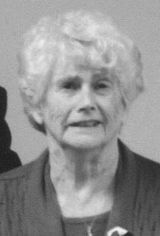 The mother of his children is Kathryn Crockett. uncle to 17 nieces and nephews and several great nieces and nephews. sitting in his front porch swing. Moodyville with military honors and with Bro. Rick Cross officiating. Jones, Gary Cross, Steve McCane. Services provided by Mundy Funeral Home Jamestown. Linda Sue Beaty York. 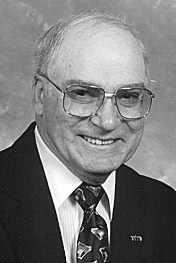 Mr. York was a Veteran serving in the U.S.
Church of Christ Cemetery. The Military served as the pallbearers. away on Tuesday, July 25, 2017 at the Beckett House in New Concord. Clarence Storie and Laura Walker Storie. Ola is preceded in death by: her parents; her husband, Bernard H.
sisters, Jessie Dudley and Glee Westfall. Brandon and Zoey Mae; and a sister, Peggy McFarland of Kentucky. tribute wall may be viewed and signed at www.bundy-lawfuneralhome.com. in care to the family at www.parsonmortuary.com. Overton County, passed away on April 23, 2017 in Richland, WA. woodworking and riding his recumbent bike around his neighborhood. Mullins, and brother-in-law, Shirley (Shird) Ford. Wirmingham Cemetery on July 21, 2017 at 11 a.m.
passed away suddenly at his home on Sunday, July 2, 2017.
would have a personal relationship with our Lord and Savior. 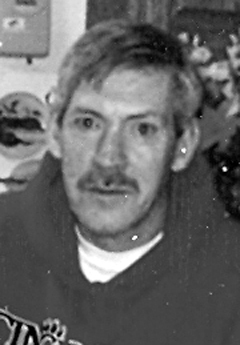 Other than his parents he is preceded in death and brother, Keith P.
survived by several cousins and other family members. burial in the Cookeville City Cemetery with Military honors. Funeral Home Chapel and burial at Overton County Memorial Gardens. She was born on July 7, 2017 at Erlanger Medical Center. burial in the Tompkins Cemetery. and Rehab, passed away Thursday, June 29, 2017. (Holt) Lee. 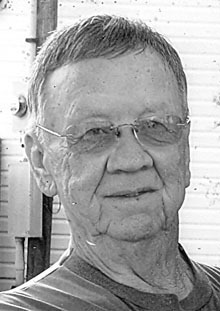 Mr. Lee was a factory worker and a past Pickett Co.
Reynolds and brother, Preston Lee. on Saturday, June 24, 2017. She was a loving wife, mother and Nana. brothers and sisters, Mary Huddleston of Byrdstown; William "Bill"
pallbearers. Interment was at Hendersonville Memory Gardens. Services entrusted to Austin and Bell Funeral Home, Hendersonville. away Monday, June 19, 2017 at his residence. attended the Grace Tabernacle Church. Cope, Dannie Cope, Jr., Rick Brown, Robert Rich and Archie Griffin. and Franklin Leggett. Special care provided by Brown Funeral Chapel. June 8, 2017 at Cookeville Regional Medical Center. He is the son of the late Bryson and Nina Stockton Flowers. Byrdstown passed away Thursday, June 8, 2017 at her residence. and Bertha Sells Holt. Mrs. Dillon was a retired State Health Dept. employee and a member of the Byrdstown First Christian Church. Sunday, June 11, 2017 at Byrdstown First Christian Church with Bro. Sims Cemetery. Pallbearers were Charles Parris, Tom Allen, J.R.
pallbearers were Jim Thompson, Peanut Gibson and Doug Garrett. away Monday, June 5, 2017 at Erlanger Health System in Chattanooga. past nine years in Pickett Co.
She is preceded in death by her mother, Martha Jean Dowdle. MUNCIE, IN--Gary Elvis Cross, 60 of S. Liberty St., Muncie, In. in Muncie most of his life. Jr., Steve Storie, Troy Storie, Mickey Daniels and Michael Daniels. Elutrelle; father, Robert; son, Charles, Jr.; brother, Larry. Jamestown, TN. Also survived by several nieces and nephews. home in Cookeville, on Friday, June 2, 2017. Lula Mae Hildreth Martin and William Clarence Martin. brothers, W.D. Martin, Donald Martin, and Glenn Martin. they lived in Chicago where he completed his degree in optometry. practiced optometry for many years. appreciation of a very long and full life. officiating. Honorary pallbearers were her nieces and nephews. Interment followed in the Cookeville City Cemetery. 29, 2017 at The Waters of Muncie. famous for her Sunday dinners. in-law, Randy Upchurch of Pall Mall; and several nieces and nephews. and one sister, Ivagean Rush. First Baptist Church of Byrdstown. half-sisters Rena Spradling Eggers and Jean Massey Warner. Guadalcanal in the Solomon Isles. the first time they met - at a party in Cabin Creek, WV when only 15.
grace-enabled constancy. Thanks be to God! 26, 2017 at IU Health Ball Memorial Hospital. Granny, cooking, baking, gardening and working in the yard. first husband, David Rogers and second husband, Forrest Kauffman. Harmon also reside in the area. always looking for news about people she knew from many years ago. burial at Elm Ridge Cemetery in Muncie. April 3, 2017 at the Overton Co. Health and Rehab. Owensburg, KY. Also survived by other family members and friends. away Sunday, April 2, 2017 at Pickett Care and Rehab. She was born Sept. 9, 1942 in Belleville, IL to the late William Francis Malloy and Ann Miller Malloy Geoddell. 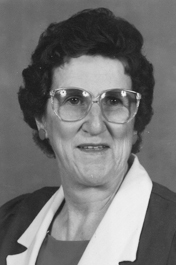 Mrs. Branham was a retired bank teller, vice president and lived in Pickett Co. for the past 24 years. 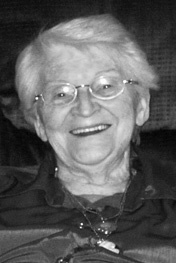 She was member of the Bloomington Christian Church and the Byrdstown Jr. Women's Club. Brenda Geoddell all of Belleville, IL; four grandchildren, six great-grandchildren. Also survived by nieces, nephews, other family members and friends. Jolley, John Zachary, Joseph Amonett, James Abbott and Jayden Smith. 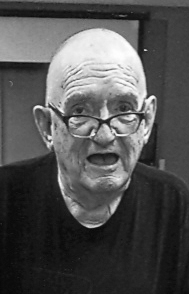 English, IN and formerly of Pickett Co. passed away Monday, April 3, 2017 at University of Louisville Hospital. She was born Oct. 30, 1949 in Overton Co. to the late Arlis S. and Vibrilla Taylor. 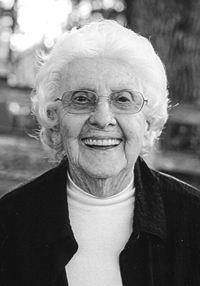 Mrs. Reynolds lived most of her life in English, IN and was a furniture factory employee and homemaker. Other than her parents she is preceded in death by three sisters, Bea Reeder, Louise Skelton and Jeanette Taylor; two brothers, Arlis Taylor, Jr. and Jerry Taylor. 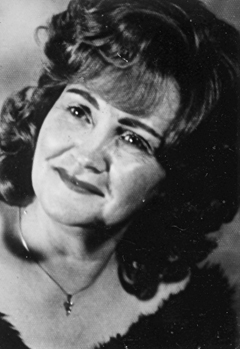 Survivors include her husband, Wiley Dane Reynolds, Sr.; daughter, Kristie Calger and husband Donnie; son, Wiley Dane Reynolds, Jr. and wife Rita, all of English, IN; sister, Cora Mae Glassburn of Kokomo, IN; brother Willie Taylor of Greenwood, AR; five grandchildren, four great-grandchildren. Also survived by nieces, nephews, other family members and friends. BYRDSTOWN--Sarah Walker Byrd, 80 of Cove Creek Rd. passed away Monday, March 20, 2017 at Pickett Care and Rehab. 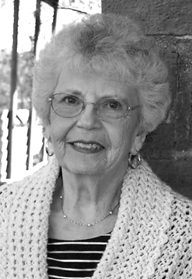 She was born June 22, 1936 in Pickett Co. to the late Titus and Matha (Walker) Walker. 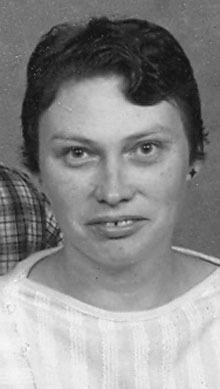 Mrs. Byrd was a housekeeper at Star Point Resort, a member of the Fairview Church and lived all her life in Pickett Co.
Other than her parents she is preceded in death by her husband, James Byrd; sister, Beulah Ledbetter; brother, Donald Walker; nephew, Steven Jordan; brothers-in-law, Paul Jordan and Oren Ledbetter; sister-in-law, Ivadell Walker. Survivors include three sisters, Linnie Jordan of Byrdstown, Joyce Abbott and husband Palmer of Nashville, Edith Nicholas and husband Noble of Livingston; brother, Doyle Walker and wife Barbara of Byrdstown; special friends, Bill and Vivi Rogers, Cleta Jones. Also survived by four nieces, six nephews, six great-nieces, seven great nephews, other family members and friends. Funeral services were held Thursday, March 23, 2017 at Brown Funeral Chapel with Bro. Tim Riddle officiating and burial at Smyrna Cemetery. Pallbearers were Rick Walker, Ray Jordan, Matthew Walker, Jeffery Walker, David Abbott and O.B. Caudle. Honorary pallbearers were nephews and great nephews. Online condolences may be made at www.brownfuneralchapel.com. 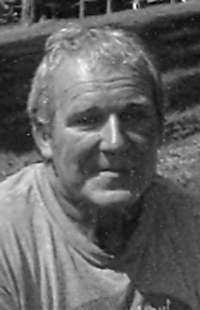 BYRDSTOWN--Joel David Billings, 67 of Copeland Ln. passed away Friday, March 24, 2017 at Livingston Regional Hospital. 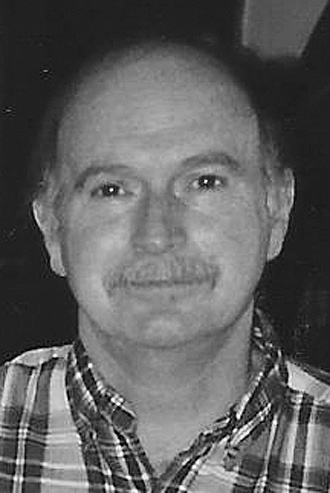 He was born Feb. 14, 1950 in Dekalb Co. to the late William Clyde and Ora Mae Mahan Billings. 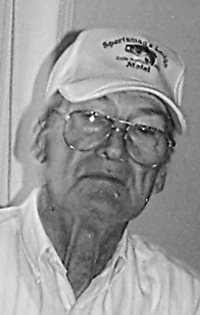 Mr. Billings was a carpenter, a member of Smyrna Church and lived most of his life in Pickett Co.
Other than his parents he is preceded in death by brother, John Billings; sister-in-law, Claranell Billings; two brothers-in-law, Jimmy Lorance and Jack Tucker; niece, Carrie Corley; three nephews, James Ford, David and Daniel Billings. Survivors include his wife, Susan Matheson Billings of Byrdstown; seven sisters, Sue Dearman (Bill) of Miami, FL., Loretta Sharitts of Tequesta, FL., Rebecca Tucker, Kaye Fedak (David) all of Murfreesboro, TN., Sharon Hargrove (Chris) of Viola, TN., Sarah Billings of Wilmington, NC., Elizabeth Napier (Marvin) of Smithville, TN; two brothers, Lloyd Billings of Cookeville and Berle Billings (Mamie) of Smithville; mother-in-law, Noema Matheson and sister-in-law Dale Ann Ford (Terry), all of Byrdstown. Also survived by many nieces and nephews, great nieces and nephews, other family members and friends. Funeral services were held Sunday, March 26, 2017 at Brown Funeral Chapel with Bro. Randy Tompkins and Bro. Carl Cross officiating and burial at Amonett Cemetery. Pallbearers were Chad Watts, Scott Gwaltney, Tommy King, Steven Copeland, Steve Reagan, Duane Billings and Darrell Billings. Memorials can be given to St. Jude Children's Hospital, American Cancer Society or a charity to feed the homeless children. Special care provided by Brown Funeral Chapel. Online condolences may be made at www. brownfuneralchapel.com. 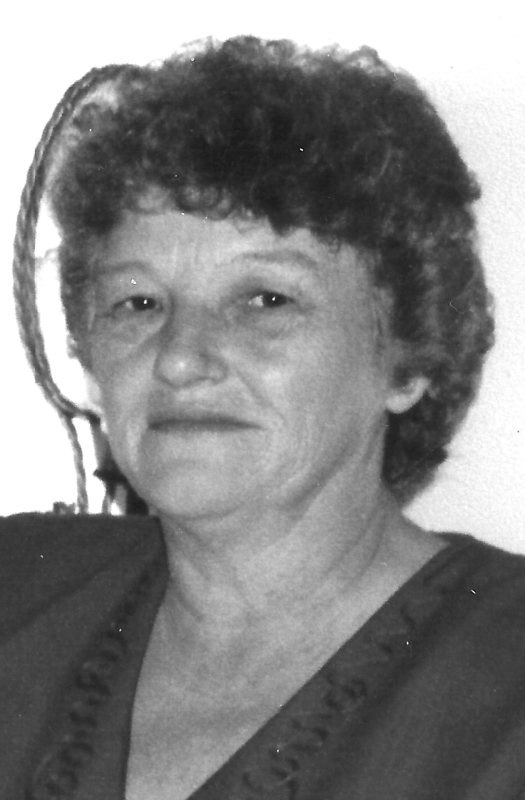 WESTFIELD, IN--Brenda Smith Pfenninger Catron, 73 of Westfield, IN passed away March 16, 2017 following a brief illness. Point Resort on Dale Hollow Lake for her cousin who owned it. Brenda retired and moved back to Indiana in 2004 to be closer to her family and friends. her girlfriends monthly and attending frequent girlfriend retreats. Brenda was also an avid IU fan and loved Elvis Presley. A member of the Bloomington Christian Church in Byrdstown, Brenda wanted to be buried in her mother's, Amonett Family Cemetery. New Castle, IN 47362, in the O.B. Smith and Bill Smith Memorial American Music Award. 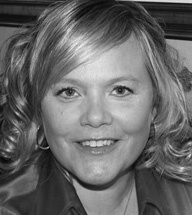 To send flowers or a remembrance gift to the family of Brenda Smith Pfenninger Catron, please visit our Tribute Store. passed away Saturday, March 11, 2017 at his residence. away Saturday, March 18, 2017 at Livingston Regional Hospital. Voiles Hassler. 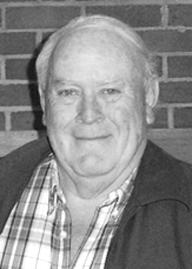 Mr. Hassler was a retired supervisor with the TN. 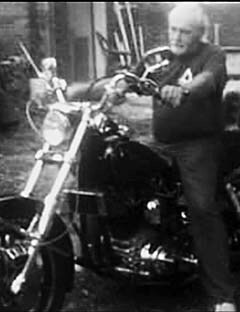 engine mechanic and lived in Pickett Co. most of his life. great nieces, other family members and friends. away Sunday, March 5, 2017 at Pickett Care and Rehab. She was born April 21, 1944 in New Castle, IN to the late Ottie E.
and Beulah Copeland Ellison and lived most of her life in Pickett Co.
of the Byrdstown First Baptist Church. Elmer Lee; granddaughter, Emmy Lee Anderson; brother, Jimmy Copeland. nephews, cousins, other family members and a host of friends. Darryl Winningham. Special care provided by Brown Funeral Chapel. 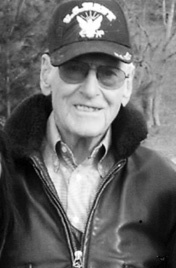 BYRDSTOWN--Hollis Estel Reagan, 89 of Reagan Rd. passed away Monday, March 6, 2017 at his residence. He was born April 16, 1927 in Pickett Co. to the late John H. and Pearlie Bow Reagan. 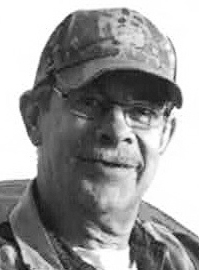 Mr. Reagan was a retired construction worker, farmer and a member of the Wolf River United Baptist Church and a veteran of the W.W. II serving in the Army. survived by nieces, nephews, other family members and a host of friends. Canaan. Special care provided by Brown Funeral Chapel. 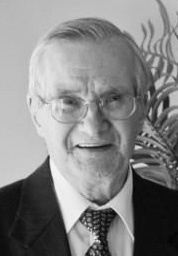 BYRDSTOWN--Coleman Webster Crouch, 90, passed away Sunday, March 5, 2017 at Cookeville Regional Medical Center of a stroke and congestive heart failure. Wednesday, March 8, 2017 at Moodyville Missionary Baptist Church. Visitation began at 11:00 a.m. and the service began at 1:00 p.m.
followed by a brief graveside service. The Reverend Joel Chappel, the Reverend Steve McClure, and Dr. Tom Riley conducted the services. Pallbearers included Norman Amonett, Joseph Amonett, Lee Amonett, Curtis Brewer, Paul Crouch, Jonathan Green, and Tim Green. The ladies of Moodyville Baptist Church and Bloomington Christian Church provided a wonderful meal following the service. 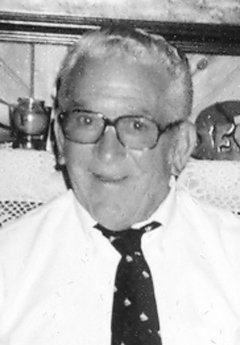 He was born to Jason Porter Crouch and Velma Marie Rains Crouch on July 27, 1926. His parents and his sister, Leta Crouch West (Shirley) preceded him in death; his sister, Jenny Crouch Groce (Herbert) survives. conservation practices, and brought registered angus cattle to the Crouch farm. 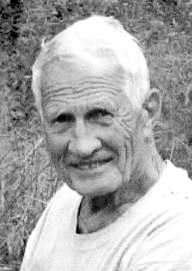 He wired many houses in Moodyville and Clark Mountain for electricity in the late 40's and early 50's after learning the science in high school. Later he learned tax law as it applied to farming and assisted many of his neighbors and friends with their income taxes, including Alvin C York. He never charged Sergeant York, telling him, he'd already paid with his service in the war. Coleman was a faithful Christian, read his large print bible daily and knelt bedside his bed for prayer, like he taught his children. One of his greatest joys was helping those in need. Coleman married Cleady Mae Whitlow June 7, 1951, who predeceased him two weeks prior to their 50th wedding anniversary. Byrdstown, Susan Brewer (Curtis) of Rosemark, and Jeffrey Crouch (Reta) of Byrdstown. 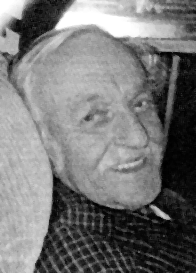 He had six grandsons: Joseph Amonett (Kari), Lee Amonett (Leah), Jon Green (Elysia), Tim Green (Tatum), Paul Crouch (Kristen), Justin Crouch, deceased, (Crystal) and two granddaughters, Christina Crawford (Matthew) and Brittany Copeland (Cullen). He had 21 great grandchildren, in whom he took the greatest delight. A breakfast invitation might not get him out of the house, but breakfast with the great grandchildren always would. He will be greatly missed. McKinney and Rev. Bill Stone officiated. married at Algood First Baptist Church on February 16, 1958. Mandrell, and Dr. Tim Mandrell. 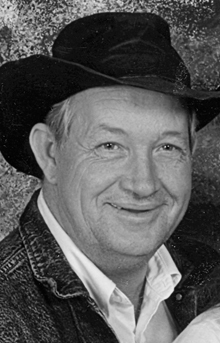 passed away Sunday, Feb. 12, 2017.
two brothers, Lloyd and Grady Holt; one grandchild, Johnny Curtis Lee. 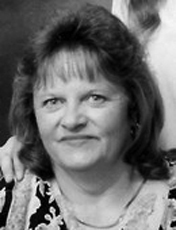 FRANKFORT, KY- Jean Ann Wentworth Cook, 60, wife of Roger Cook, passed away Monday, Feb. 20, 2017. She was born in Shelbyville, Ky. Sept. 2, 1956 to the late Katherine and Douglas Wentworth. 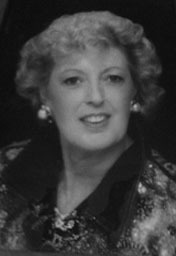 Jean graduated from Shelby County High School and Western Kentucky University. She worked for the Department of Environmental Protection and was a member of the Eastern Star. In addition to her husband, she is survived by her son Brian Cook, Frankfort. 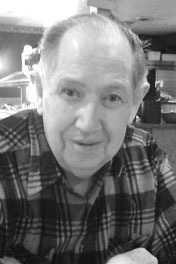 NEW CASTLE, IN--Cohen Whittenburg, 98, of New Castle, passed away Saturday, Feb. 18, 2017 at Glen Oaks Health Campus. 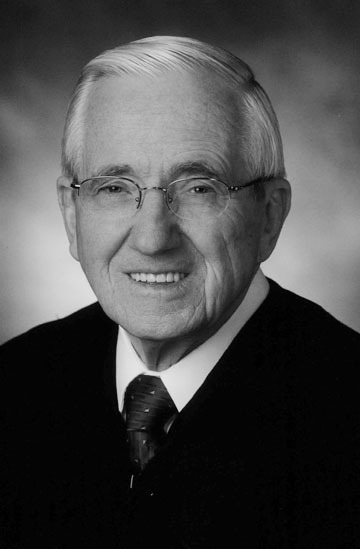 He was born Jan. 15, 1919 in Pickett County. Cohen retired in 1981 from Chrysler Corporation after thirty years of service. He attended the Grand Avenue Baptist Church. He is survived by a daughter, Carol Ann Pennell of Harlingen, TX; granddaughter, Page (Bart) Hines of Fort Worth, TX; sisters-in-law, Nola Armstrong, Sue Williams and several nieces and nephews. He is preceded in death by his beloved wife of almost 74 years, Robbie (Williams) Whittenburg; two brothers, Randolph and Willard Whittenburg; and brothers-in-law, T.G. Armstrong and Bill Williams. 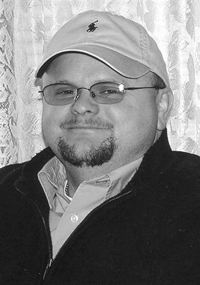 Shawn Dale Baker, 45 of Brian Dr., Cookeville passed away Wednesday, Feb. 15, 2017 at Cookeville Regional Medical Center. He was born March 18, 1971 in Jamestown, to Earnest "Dickie" Dale and Linda Norene Beaty Baker. 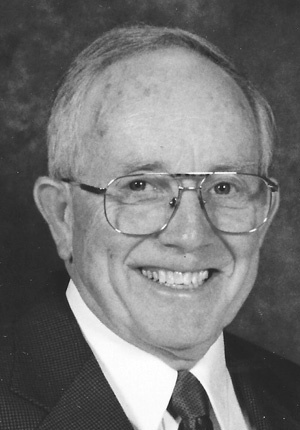 Mr. Baker was associated with the Apostolic Church in Albany, KY and lived most of his life in Cookeville. 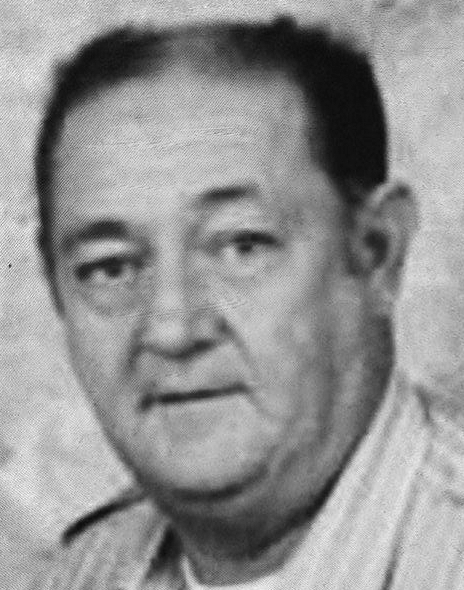 He is preceded in death by his father, Earnest Dale Baker; grandparents, Willard and Nora Beaty and Euell Baker; stepfather, J.C. Wilmoth. 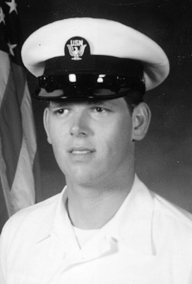 Survivors include his mother, Linda Wilmoth of Cookeville and grandmother, Dean Baker of Albany. Also survived by aunts, uncles, cousins, other family members and friends. 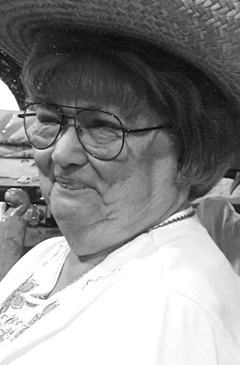 Vera Mae Harmon, 77 a resident of Pickett Care and Rehab passed away Sat., Feb. 11, 2017. She was Born April 19, 1939 to the late Marshall and Cordie Ford. She is preceded in death by two sisters, Margaret Ford and Christine Masiongale; three brothers, James, Ben and Shird Ford. 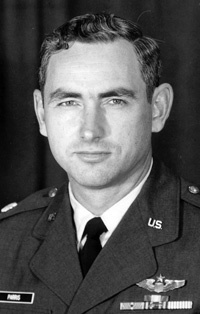 Survivors include her husband, Dale Harmon; son, Malcolm Harmon and wife Michelle; three sisters, Elizabeth Hill, Kay Abbott and Betty Beaty, all of Byrdstown; brother, Kenneth Dale Ford of AZ; three grandchildren. Funeral services were held Tues., Feb. 14, 2017 from Williams Chapel Church with Bro. Andy Cope, Bro. Tim Ford and Bro. Darren Ford officiating and burial at Williams Chapel Cemetery. Arrangements by Talbott Funeral Home.